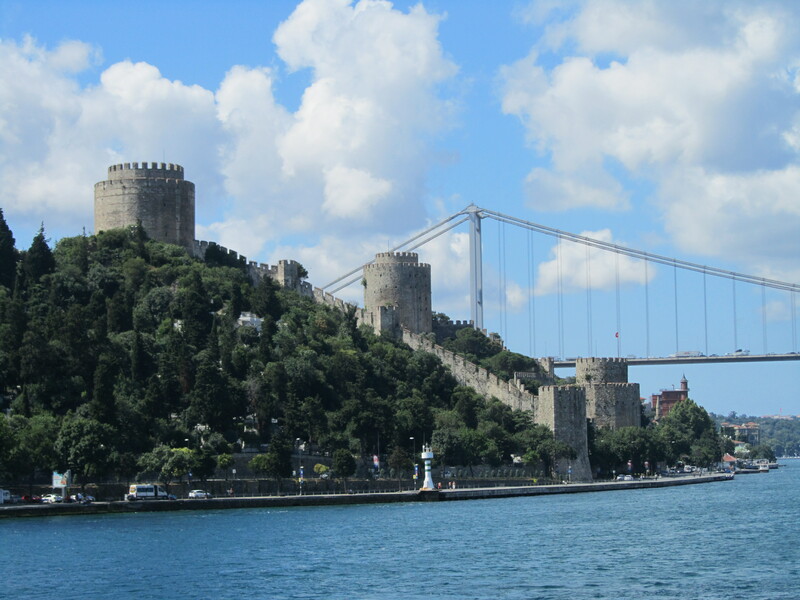 If you’re planning a trip to Turkey, then you will undoubtedly pass through the fascinating city of Istanbul. Not only is it the largest city in Europe with a population of nearly 14 million people, but it is also the only city in the world to straddle two continents. 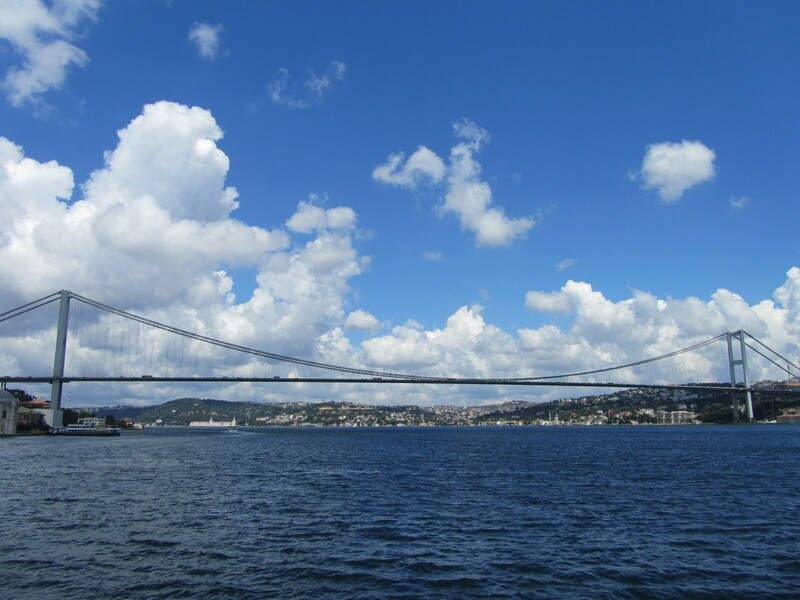 The Asian side of Istanbul, which I regrettably didn’t have time to visit, is separated from the more famous and touristed European side by the Bosphorus strait – a beautiful waterway that I fortunately did take the time to sail across. 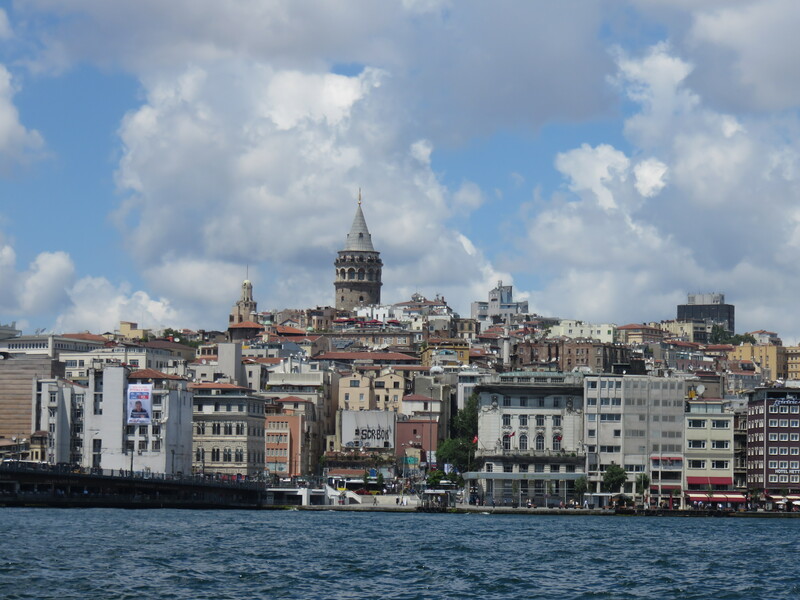 In a city that has served as an imperial capital for the Roman, Byzantine, Latin, and Ottoman empires over the past 1600 years, it would be impossible to see it all in just 48 hours. 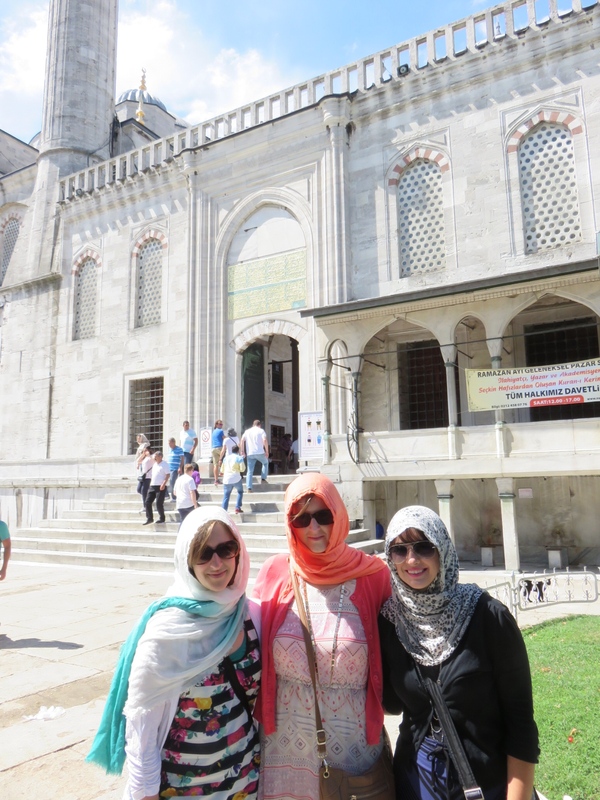 But, we sure did our best to tackle the medley of Christian and Islamic historical sights – a truly intoxicating mix of East meets West. 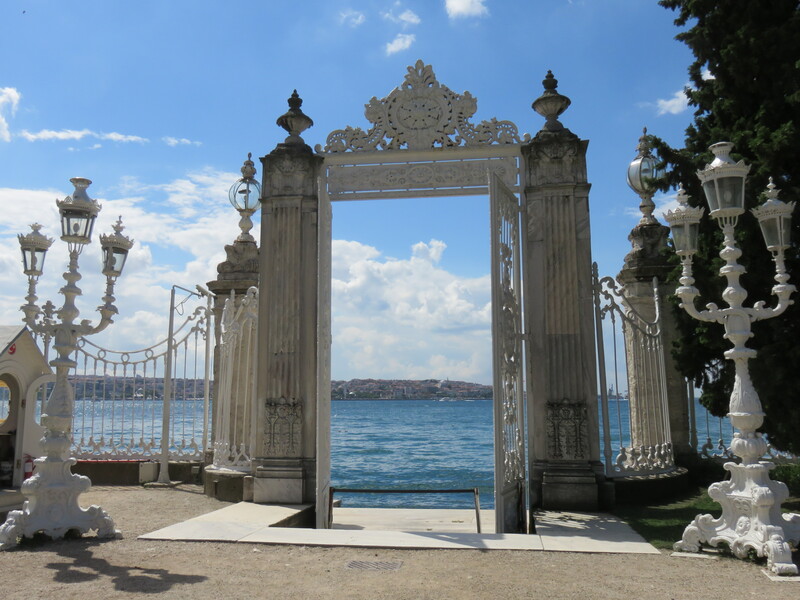 These are the top sights I would recommend if you only have 48 hours to explore Istanbul. Named for the blue tiles adorning the walls of its interior, this is one of the two mosques in Turkey that has six minarets (tall towers used for the call to prayer). Visitors are welcome free of charge but must abide by a few important rules. 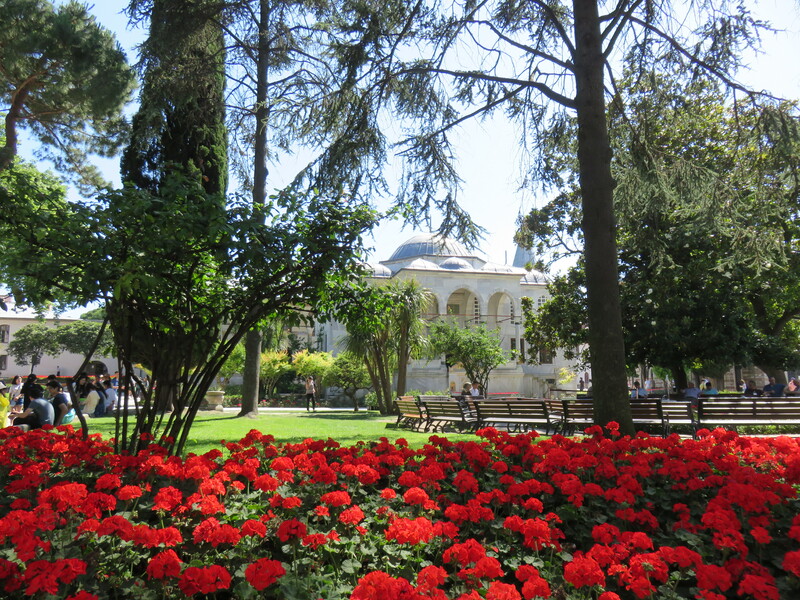 There is a strict dress code (women must cover their hair, shoulders, and knees), every one must cover their shoes with plastic bags, and you should avoid entering at prayer times. 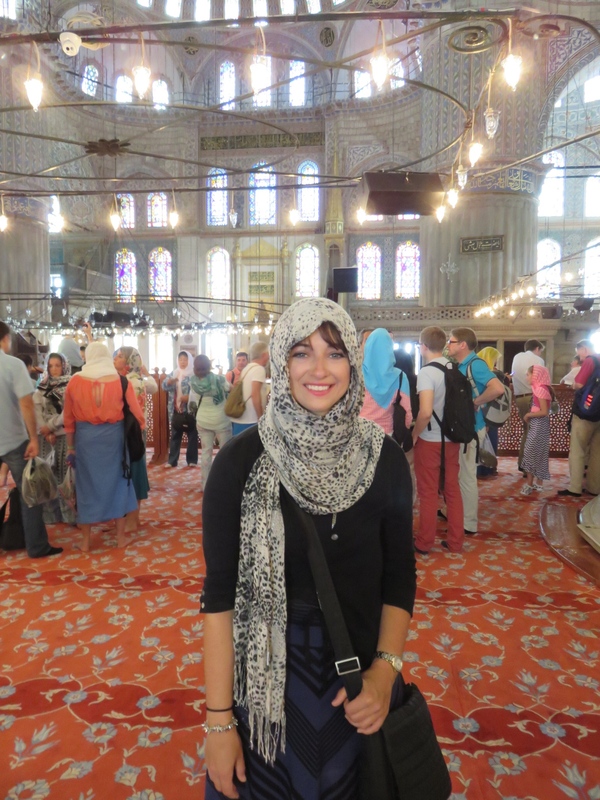 Our group were eager to take on the challenge of being culturally respectful – and I think I would have loved wearing a scarf on my head if it wasn’t so hot. Unfortunately my experience was a bit frustrating as I became increasingly annoyed by other tourists who were incredibly disrespectful and ignored the clear signs and instructions about proper dress. 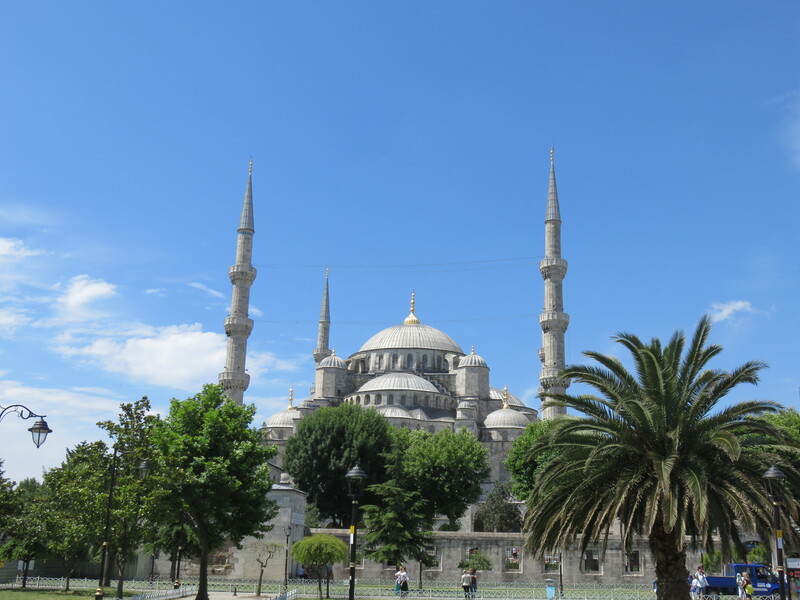 It was a strange feeling inside the blue mosque because although I was grateful to see such an important and beautiful building up close, I felt like we visitors shouldn’t have been allowed inside. It felt like a place that was too sacred and special to be a spectator. I wonder… Where do we draw the line between respect and tourism? What a history! 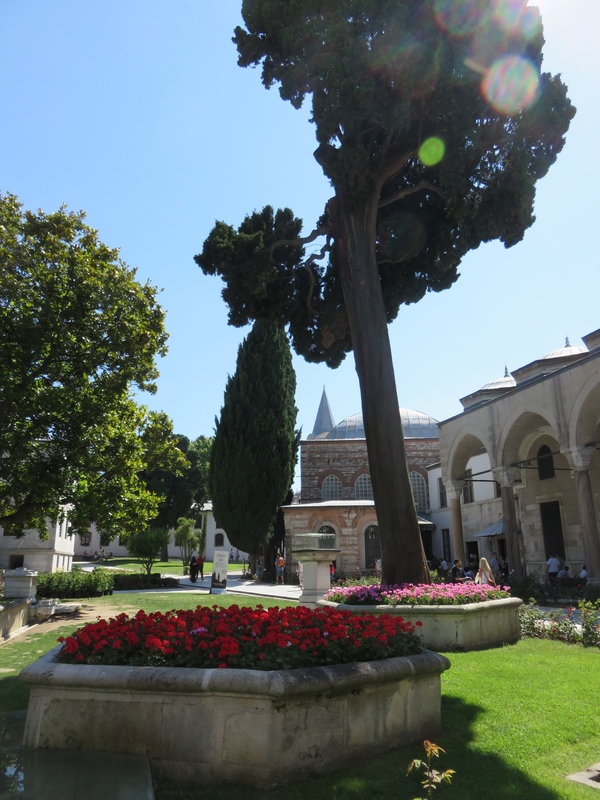 Right next door to the blue mosque is this ancient structure with quite the varied past. 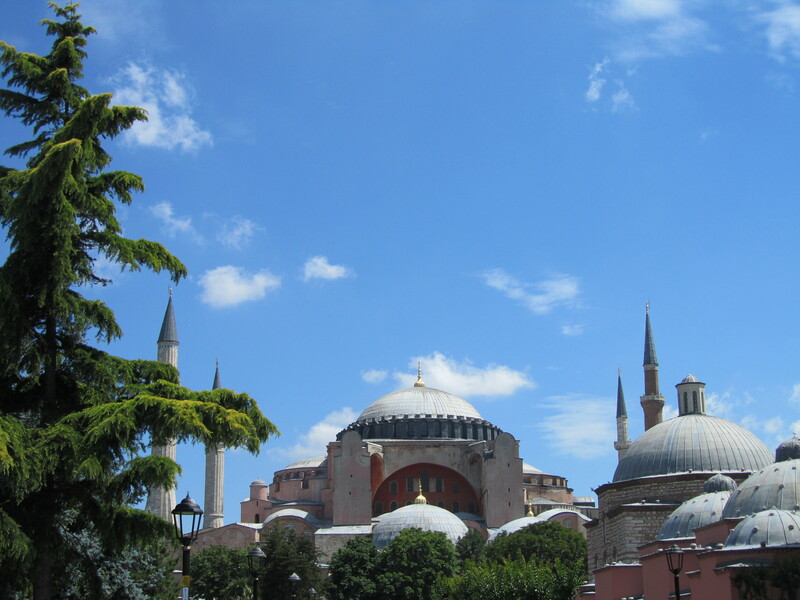 Beginning as a Greek Orthodox Cathedral in 537 AD, the Hagia Sophia transitioned into a Roman Catholic Cathedral, then back to Greek Orthodox, to an Imperial Mosque, and finally to the museum it is today. It’s quite something to see the fragments of various religions peeking through the cover-up attempts. 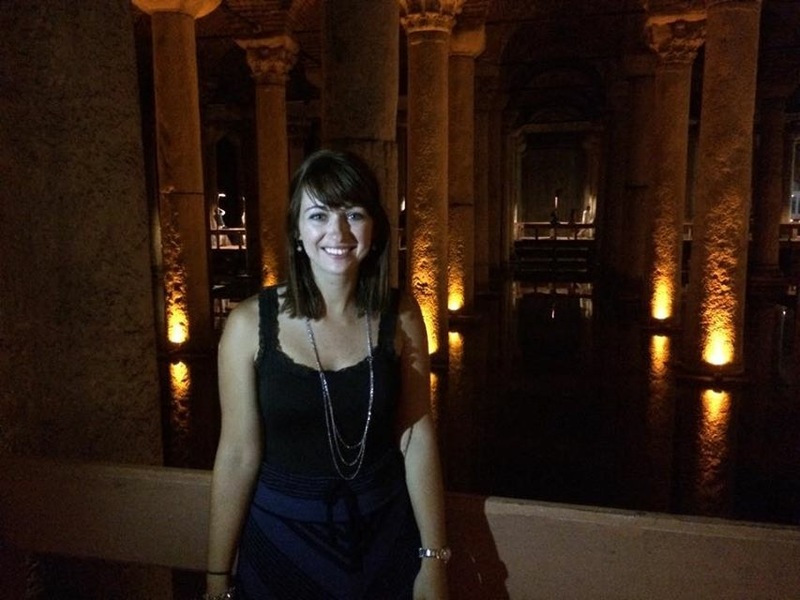 One of our favourite stops of day one turned out to be the Basilica Cistern – but not for the reason you may think. 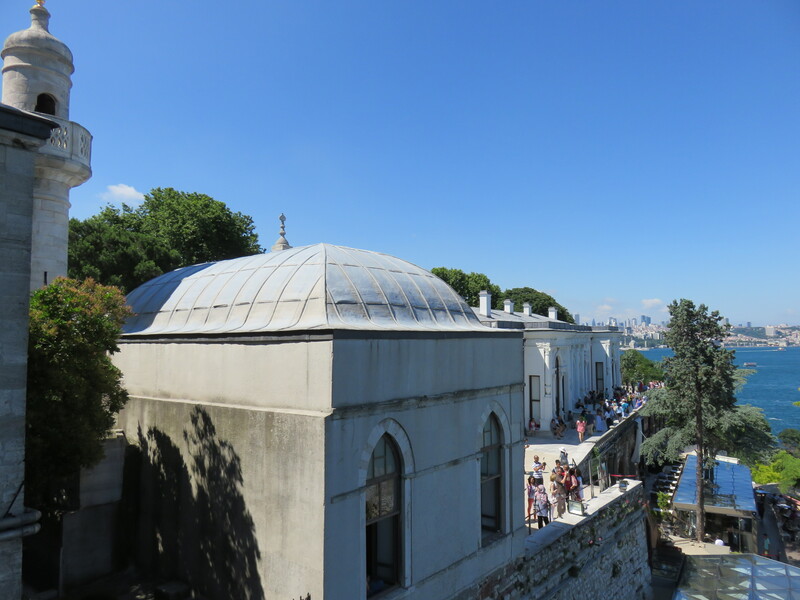 The largest of several hundred ancient cisterns that lie beneath the city of Istanbul, the basilica provided a water filtration system for many palaces over the centuries. Okay, so yeah that’s impressive. And, we very much enjoyed the cool underground location as a way to beat the heat. But, what really made it our favourite stop of the day was the ridiculously cheesy photo shoot that we happily forked over 20 lira in which to participate. 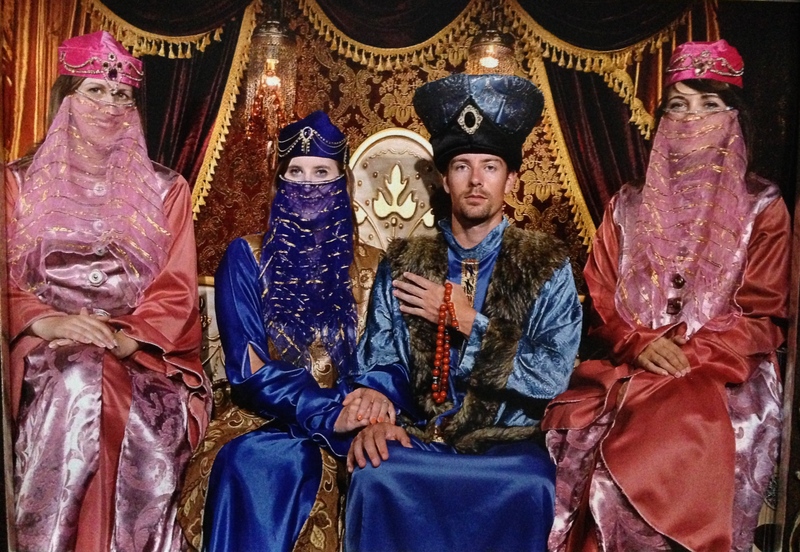 The four of us dressed up like a sultan and his wives and were taken through a series of hilarious poses with props and everything. The final product is simply priceless. 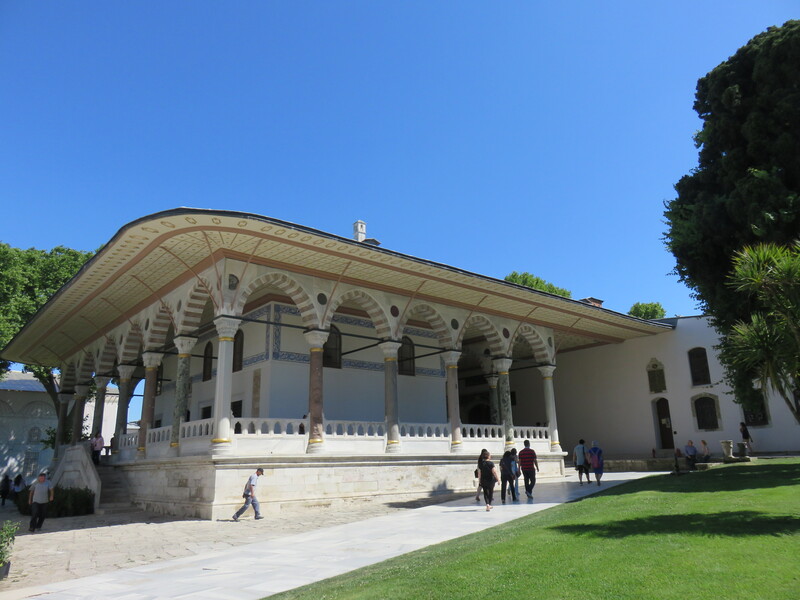 Topkapi palace was one of the major residences of the Ottoman sultans for almost 400 years and one of the best examples of palaces from that period. 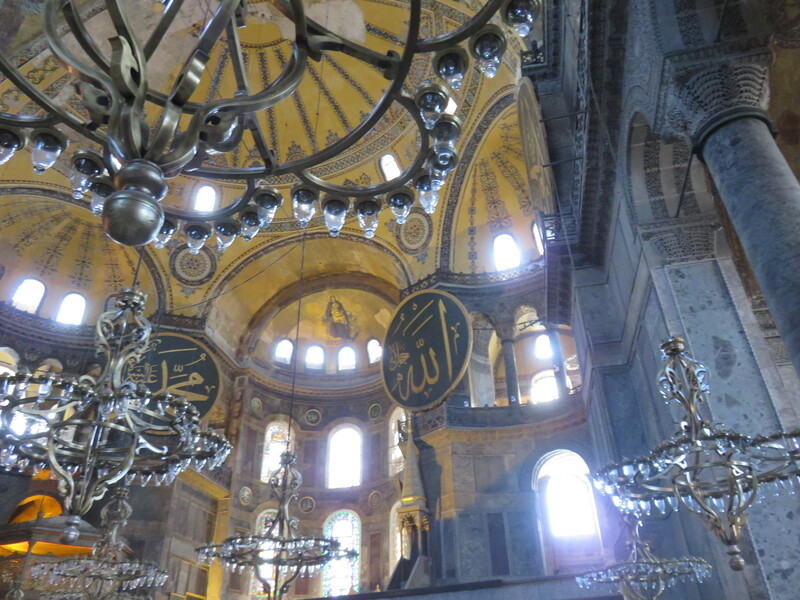 It also contains important holy relics of the Muslim world, including Muhammed’s cloak and sword. 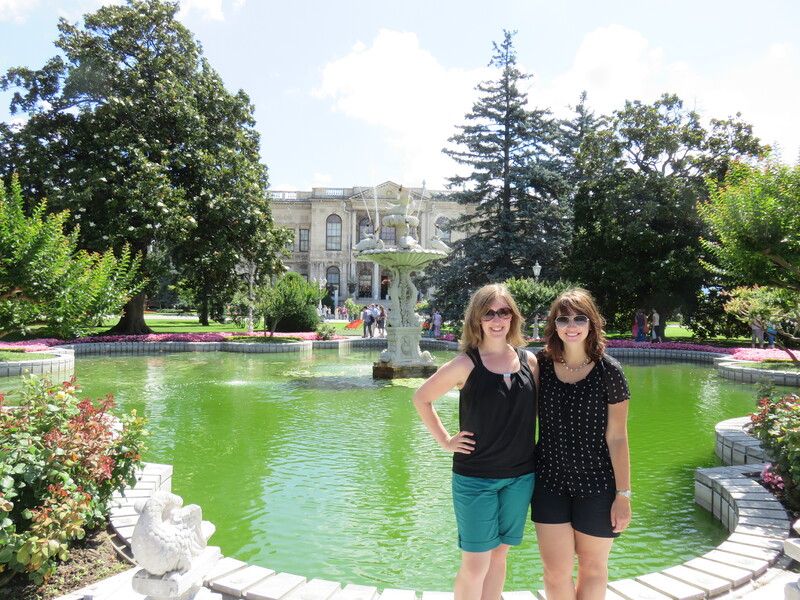 We spent a couple hours wandering about the grounds and visiting various museums. The crowds, heat, and sheer size of this compound definitely wore us down so come prepared with water and snacks. I’ve never been much of a shopper when I travel. 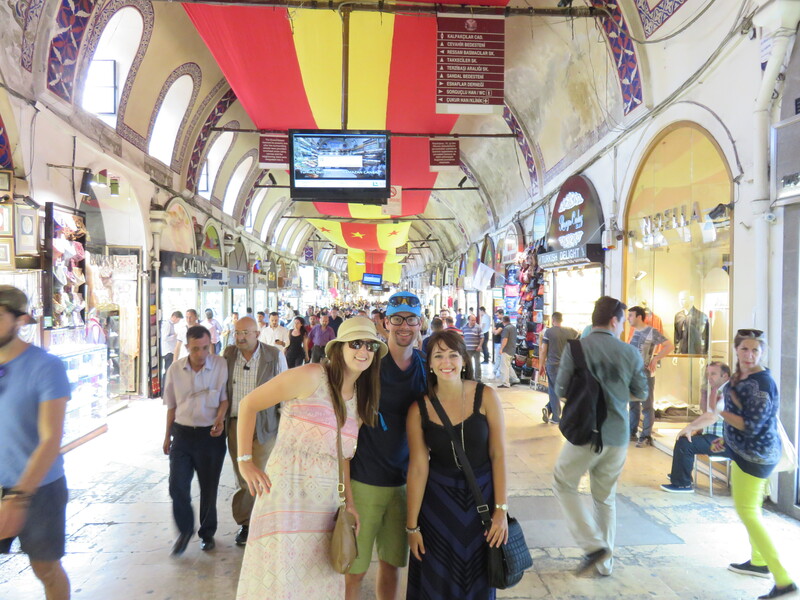 I prefer to spend my money on experiences rather than tangible souvenirs but I have to admit that the Grand Bazaar won me over. It’s one of the largest and oldest covered markets in the world, with 61 covered streets and over 3,000 shops – the word overkill comes to mind. I still didn’t make any purchases but I really enjoyed the incredible variety of products and labyrinth like maze of shops. It’s definitely worth a visit even if you don’t like shopping. 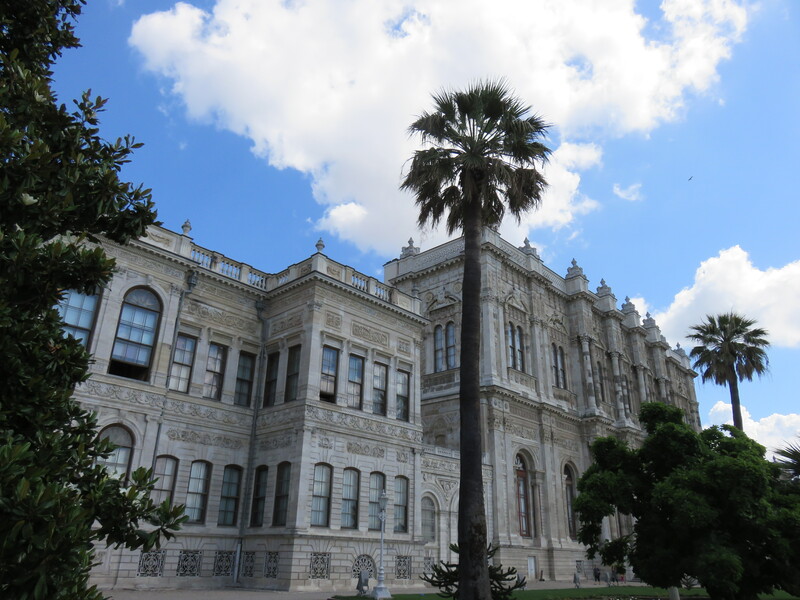 Dolmabahçe is the largest palace in Turkey and the most opulent place I’ve ever seen up close. My travel partner, Mindy, has been to Versailles and even she agrees that this place takes the top spot. 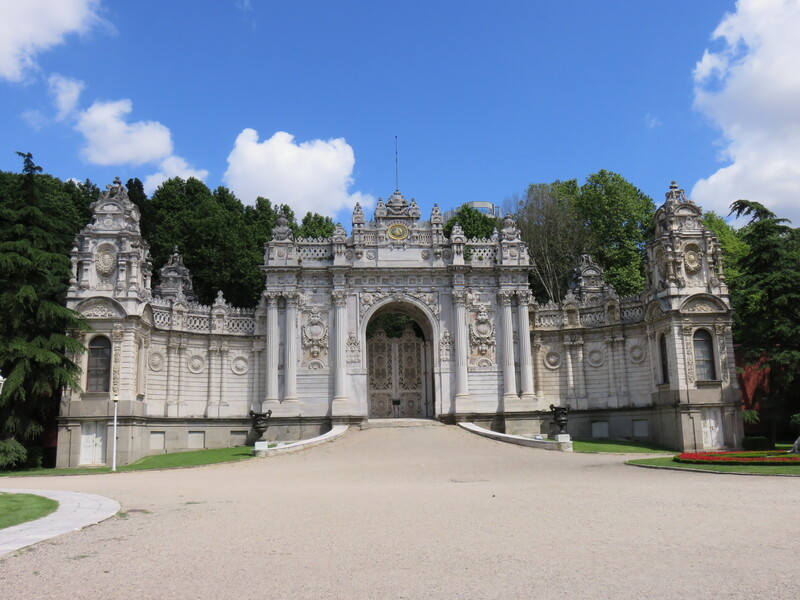 It definitely had a different feel than the other sights in the city as it was built in the mid-1800s and evoked a much more contemporary and luxurious style similar to that of other European monarchs. We took a 45 minute guided tour of the inside and we were gutted that we couldn’t take photographs. However, I couldn’t resist sneaking a pic of the world’s largest Bohemian crystal chandelier that we came across at the end of our tour in the Ceremonial Hall. 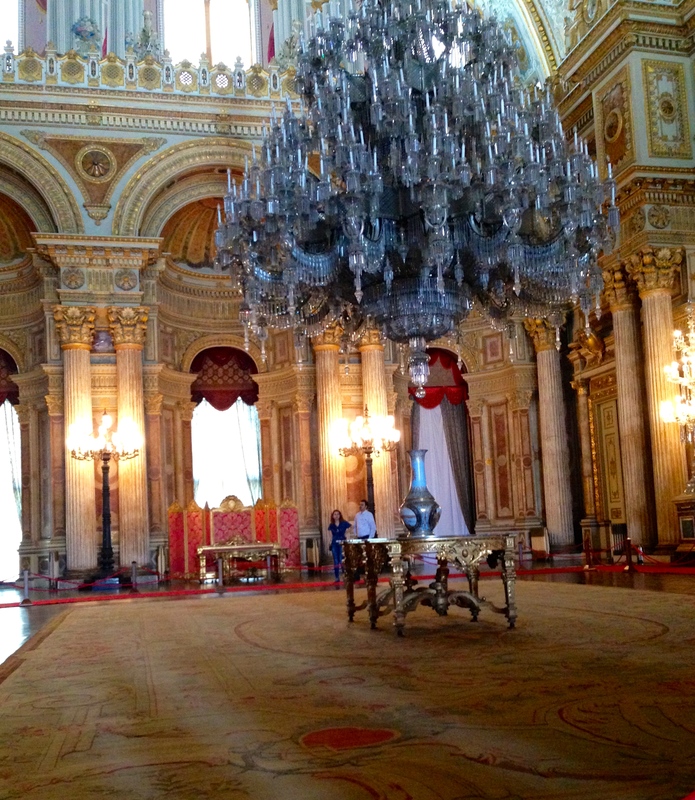 A gift from Queen Victoria, it has 750 lamps and weighs 4.5 tonnes! Fortunately, the grounds were equally gorgeous so we took plenty outside to make up for the lack of indoor footage. I love water. I love lakes. I love the ocean. I love rivers. 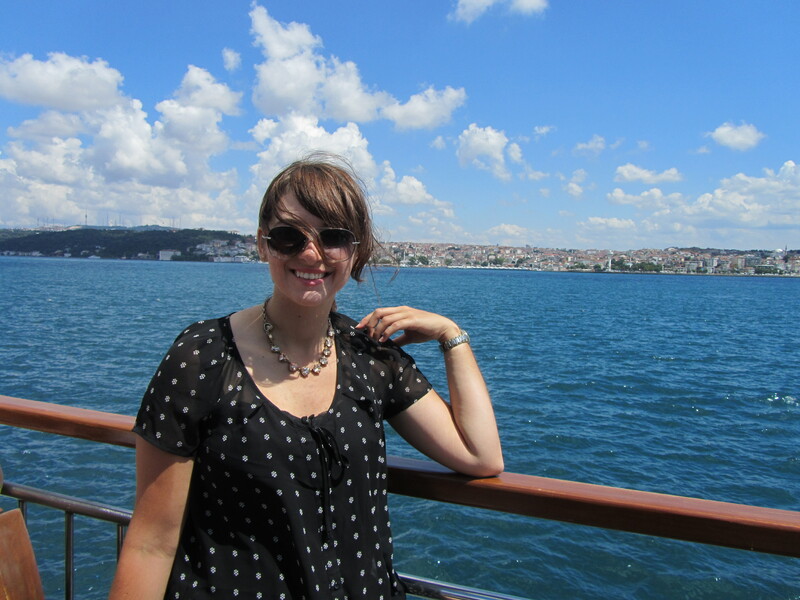 So it was a no-brainer when I learned that you could take a two-hour round-trip ferry cruise (one of my favourite forms of travel) on the Bosphorus for only 12 Turkish lira (less than $6 CAD). It was a very relaxing way to take in the sights from a completely different vantage point. 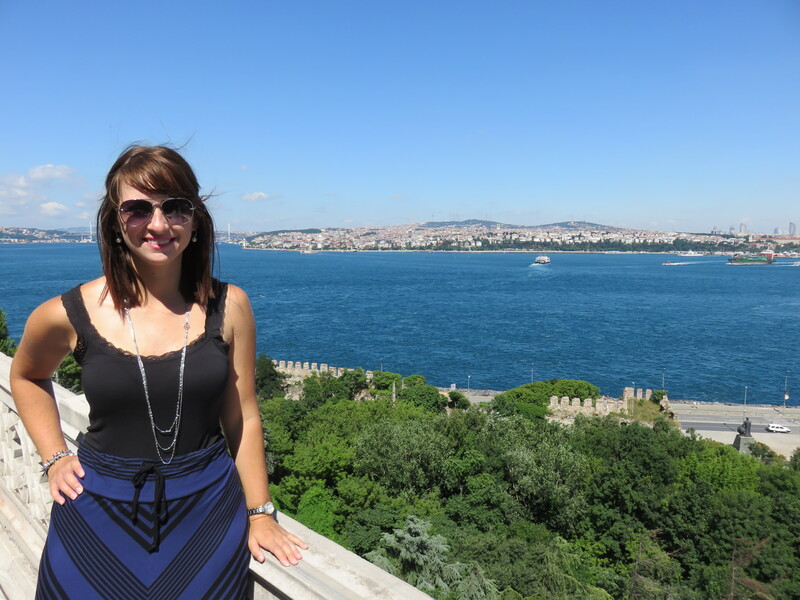 Istanbul has a ton to offer. And even though I was impressed by many of the world-class sights I saw during my stay, I left feeling a bit disappointed. 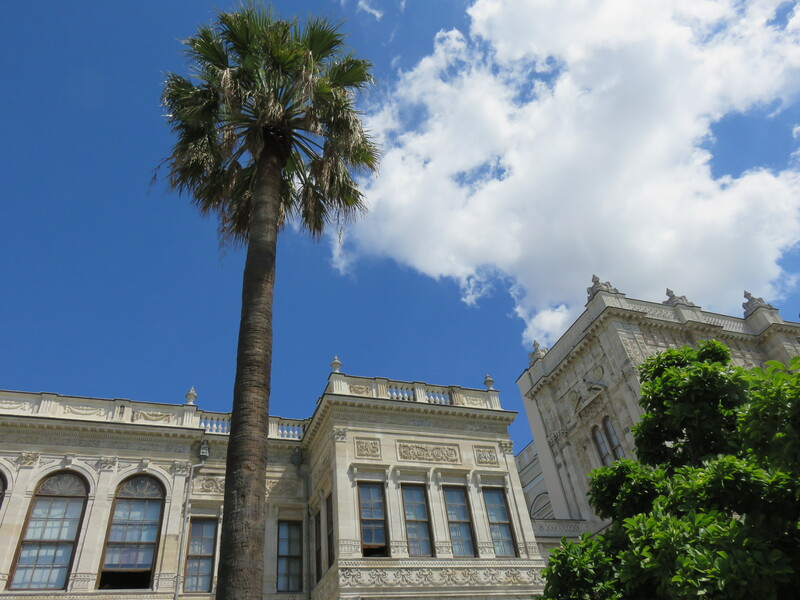 I don’t think Istanbul quite lived up to my expectations. I blame the majority of this on the fact that Istanbul was our last stop of the trip and followed our time in Cappadocia which was nothing short of magical. Our apartment was probably the least favourite accommodation of the trip and we were all getting a bit tired of being together 24/7. Honestly, I don’t think Istanbul got a fair shot. I would LOVE to go back and spend a whole week. Without the pressure of needing to see all of the famous sights, I imagine myself getting lost in some of the local neighbourhoods and indulging in more of the delicious street food. I would revisit some of the places I really loved, spacing out the visits so that I could stay longer. Overall, this was a great introduction but not enough for me to fall in love. I guess I’ll just have to come back again someday. Aww shucks! 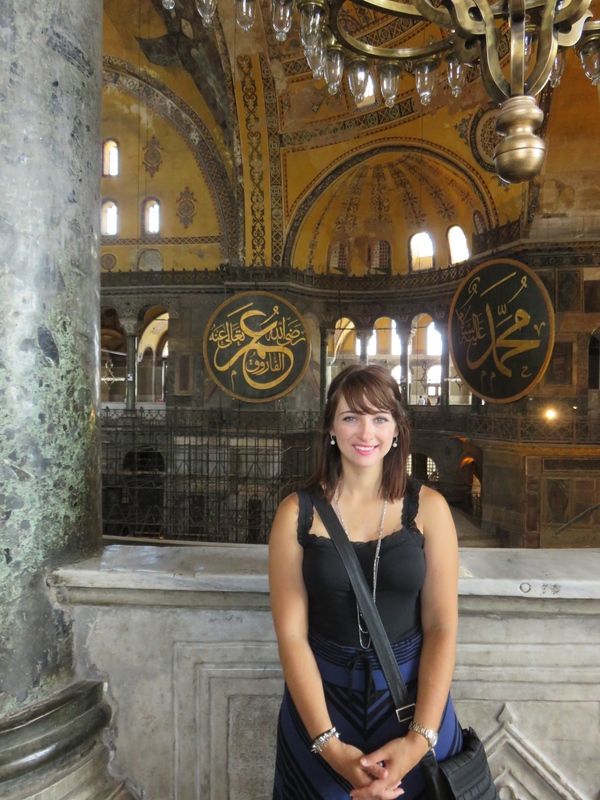 This entry was posted in Asia, Europe, Turkey and tagged Basilica Cistern, Blue Mosque, Bosphorus, Dolmabache Palace, Grand Bazaar, Hagia Sophia, Istanbul, Topkapi Palace, Travel, Turkey. Bookmark the permalink. Great photos and I love the detail in then post.